Registered in 1955, F-WGVO would quickly be re-registered as F-BGVO—first named "Fleuret II" the type was soon permanently changed to "Paris" [Geoff Goodall]. She flew 647 sorties with 1670 passengers after being shipped to the United States, not flown, then reassembled. Flown in 31 cities for a total of 307.54 hours in the air, she had an excellent maintenance record. 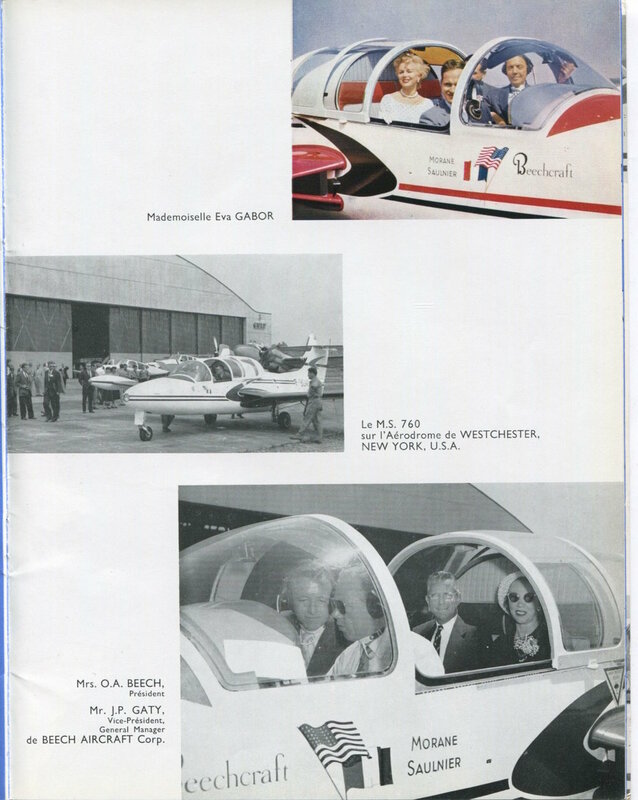 These flights were conducted from June 14 to August 31, 1955 [Mike Jerram, General Aviation; Beechcraft]. My poor French even suggests that F-BGVO set a civil aviation record for flying from DC to NYC in 36m. F-BGVO with passengers during the trial, including the woman responsible for its being there: Mrs. Beech. An ad for the demonstrations in the San Antonio Light, August 12 1955. Notice the record-breaking flight documented on the upper left. An article on the demonstration flight in the San Antonio Express, August 7, 1955. 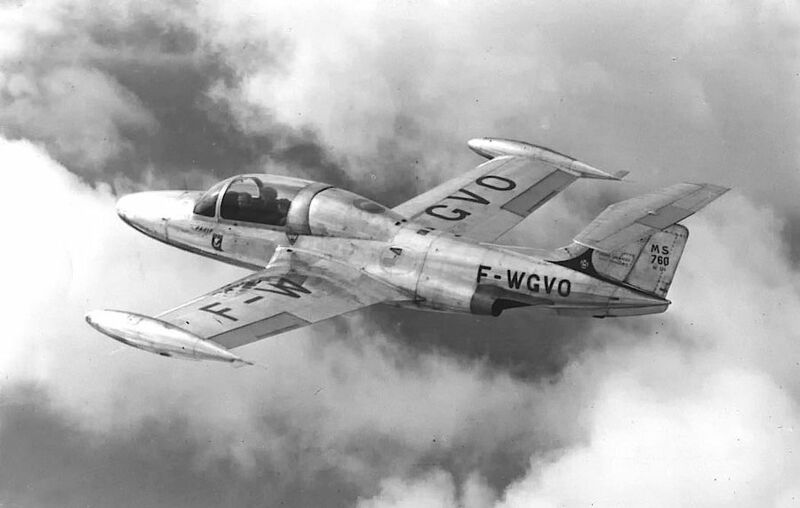 Presumably shipped back across the Atlantic, F-BGVO appeared at the Zurich Airshow in '56, made a world tour in '57, specifically toured Argentina before the air force adopted the type in '57, and made a demonstration for the Portuguese air force in '58. Unfortunately she would run off the runway at Lisbon and catch fire on May 25, 1958.